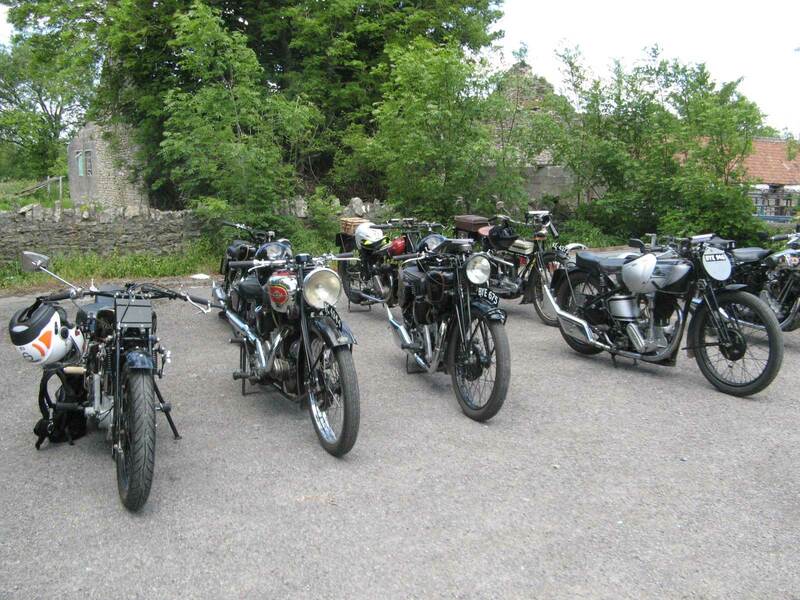 We are a local section of the national Vintage Motorcycle club, based in and around the Somerset area and we cater for all motorcycles and 3 wheelers over 25 years old. The Vintage Motor Cycle Club Limited was formed in 1946 by a band of 38 enthusiasts and membership today stands over 16,000 – but this has been achieved without losing any of the camaraderie or helpfulness which is usually associated with smaller clubs. You do not have to own a historic motorcycle or three-wheeler in order to join the VMCC, just an interest in these machines. The Club caters for all levels and ages of enthusiasts and provides a wide range of benefits to meet individual member’s needs. When you join the Club, you will be entitled to attend at any of its 80 Section meetings as you wish. Most Sections have at least one Club night each month in addition to a wide range of events and runs tailored to suit all types of vintage and classic motorcycles. The Somerset section is a local section of the national organisation, first set up in 1959 and meeting in Bridgwater, as a group of enthusiasts with a common interest. In the present day, the Somerset Section is an active group which runs a busy calendar of events throughout the year, comprising of short local rides, longer rides around the South-West and nationally events over multiple days such as the annual Twin Dragon run to Wales. Off of the bikes there are many other events in the calendar. There are monthly club nights on the first Thursday of every month, held at Cossington Village Hall with talks from club members or guest speakers on a range of subjects. During the summer months a social evening meet is held at different pubs around Somerset, and the club arranges day trips to various cities, museums, and events around the UK. The section holds a twice yearly Autojumble at the Bath & West Showground (March and September/October), with a large number of stalls selling motorcycles, spares (new & used), motorcycle gear, tools etc. The Autojumble attracts a variety of stallholders, from established companies through to garage clear-outs. If you are interested in joining the VMCC, membership to the national club allows you to attend whichever local section events you wish, along with a number of exclusive membership benefits. See the Join Now page of the VMCC website for information and online membership options. If you want more information about attending VMCC Somerset events, or have any questions or queries about getting involved, contact secretary@vmccsomerset.co.uk.